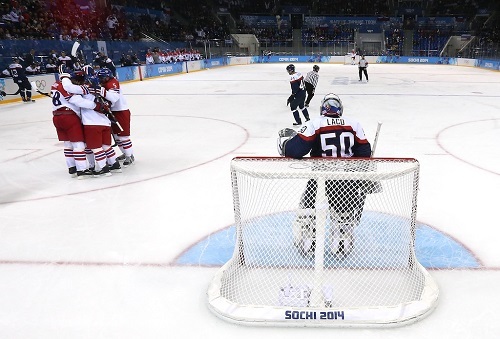 ”We came close, but it was too little too late,” Slovakia’s Michal Handzus said. 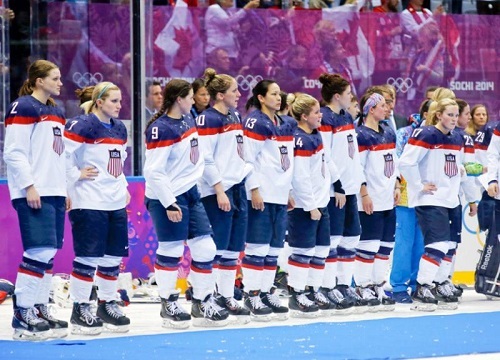 With their 5-3 loss to the Czech Republic, Slovakia’s disappointing Olympics have officially come to an end. After losing games to USA, Slovenia, and Russia in group play, Slovakia had a chance to redeem themselves in the quarter-finals by beating Czech Republic. Unfortunately, despite Slovakia’s 3rd period comeback attempt, the Czechs sent the Slovakians packing. Ales Hemsky had a goal 6:53 into the game, and Roman Cervenka scored 29 seconds later before David Krejci gave the Czechs a 3-0 lead late in the first period. With just minutes left in the second period, Cervenka picked up his second goal of the game, widening the Czech lead to 4-0. All hope was not lost however, as Marian Hossa got his first goal of the Olympics with just a minute left in the second period, closing the gap with the Czechs to three goals. Riding the momentum, Hossa netted his second goal of the game, seven minutes into the third period, before Tomas Surovy scored another goal for Slovakia just over a minute later, closing the gap to 4-3. After what appeared to be an impending Czech collapse, Plekanec added another goal late in the third period, sending a dagger in the hearts of the Slovakian hockey team. Boston Bruins defenceman Zdeno Chara, one of the many NHL standouts on the Slovak team, said he wished he knew why his team fared so poorly. ”That’s the million-dollar question. It’s tough to say,” Chara said. ”We had a rough game the first game against the U.S. That game kind of put us really down mentally, our confidence was not there. But we bounced back against Russia and played our strongest game of this tournament. We thought we would follow up on that game and obviously we didn’t. The winless Slovaks, who finished fourth and fifth at the past two Olympics, were perhaps the most disappointing team in the 12-team tournament.